Whooo can't love our new Okie Owl Buddy! With big expressive eyes that look like they are about to blink and a rich brown coat with orange accents, Okie Owl will make a perfect cuddly companion! We embroider Big Brother or Sister's first name right on his tummy, to make an extra-special personalized gift of their very own! 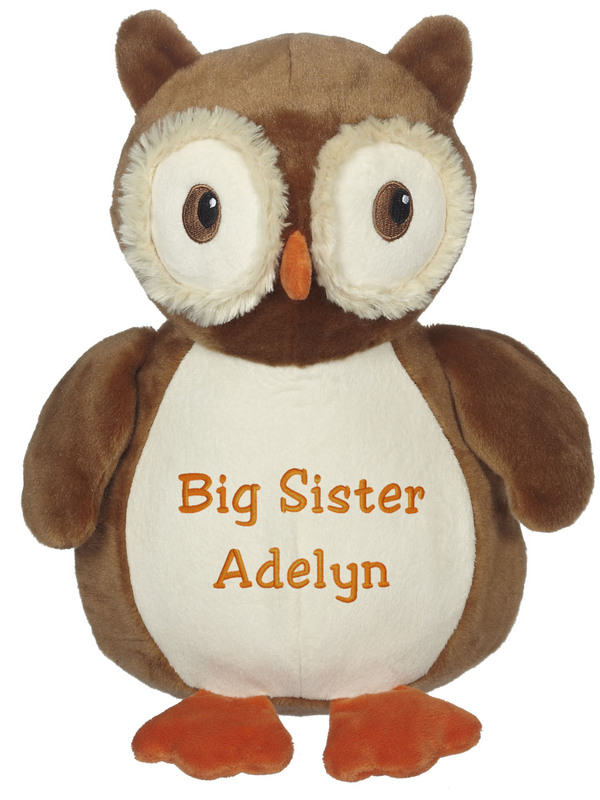 Okie Owl has a separate removable body pod with a zippered bottom opening which makes a great "hiding place" for storing pajamas, a diary, or even secret treasures or gifts!